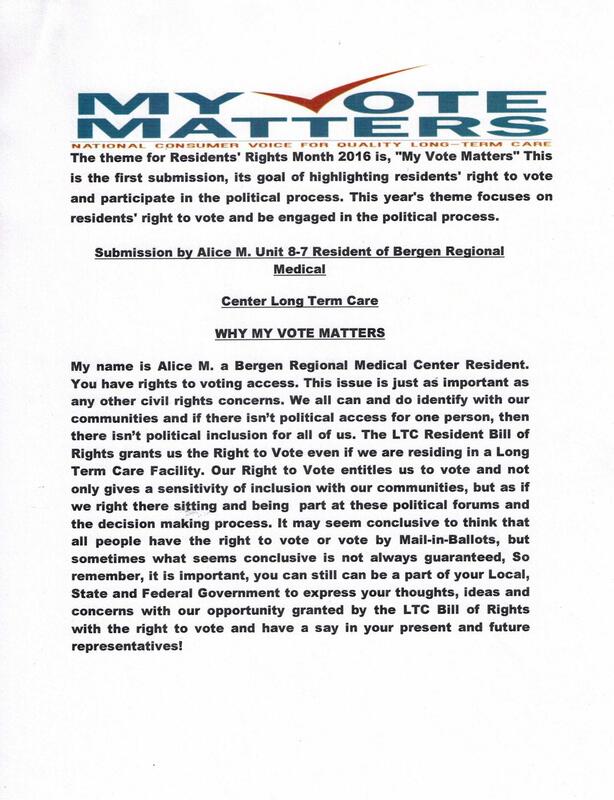 The Resident’s Voice is an opportunity for residents from facilities across the country to share their ideas about this year’s Residents’ Rights Month theme with other residents, ombudsmen, families, community members and nursing home staff. Find 2016 entries below. "I stand for disability doesn't mean disinterested." 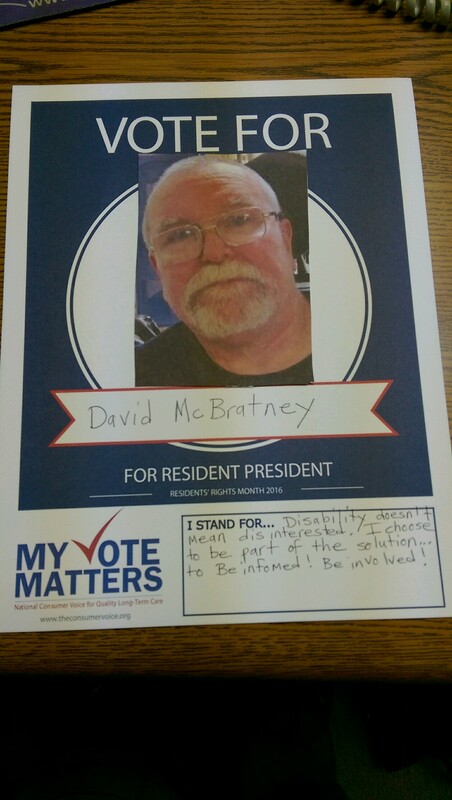 -David McBratney, Troy, Pa.
"The LTC Resident Bill of Rights grants us the Right to Vote even if we are residing in a Long Term Care Facility." -Alice M., Paramus, NJ. 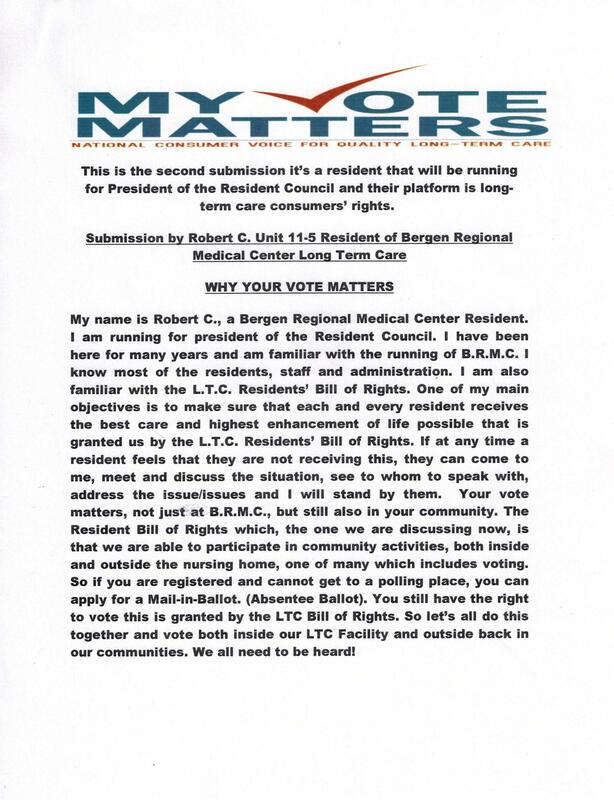 "So let's all do this together and vote both inside our LTC Facility and outside back in our communities. 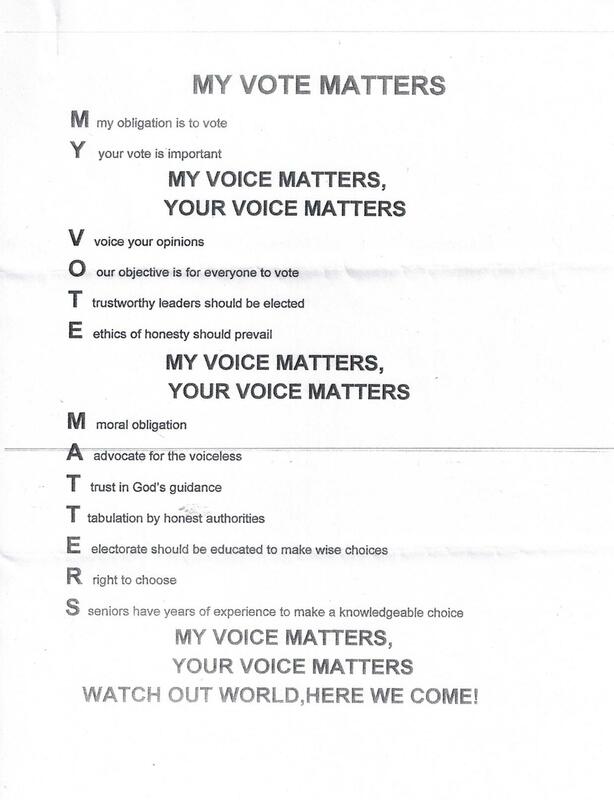 We all need to be heard!" 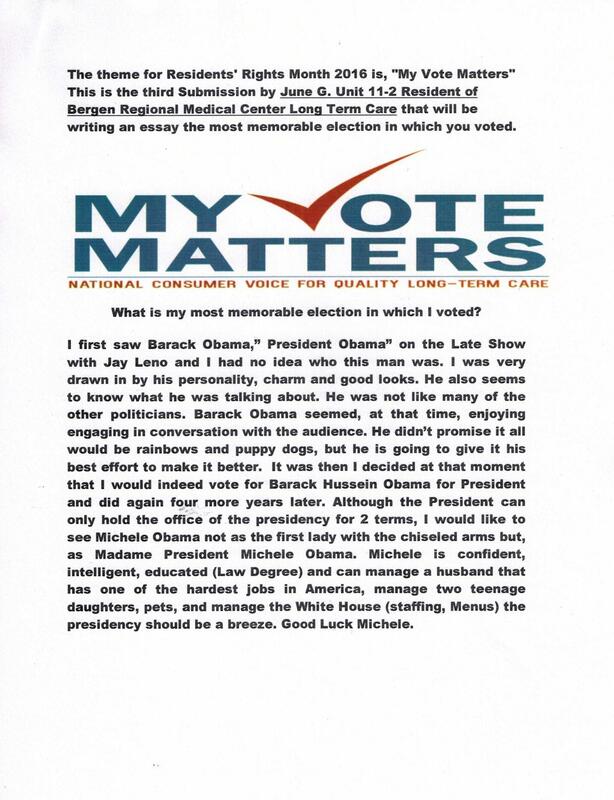 -Robert C., Paramus, NJ. Watch the PowerPoint Video here. We chose the most memorable election as being President John F. Kennedy’s. It was a charmed era in which we all felt we were living in Camelot. It seemed with the election of Kennedy, the American dream could come true. Young President Kennedy came from a working class family with immigrant roots. He was also the first Irish Catholic to become President. Kennedy was a President of the people. Many changes took place during his administration: The Civil Rights Movement, the Bay of Pigs, Cuban Missile Crisis and the Vietnam War. The Peace Corps also came into existence during this time. 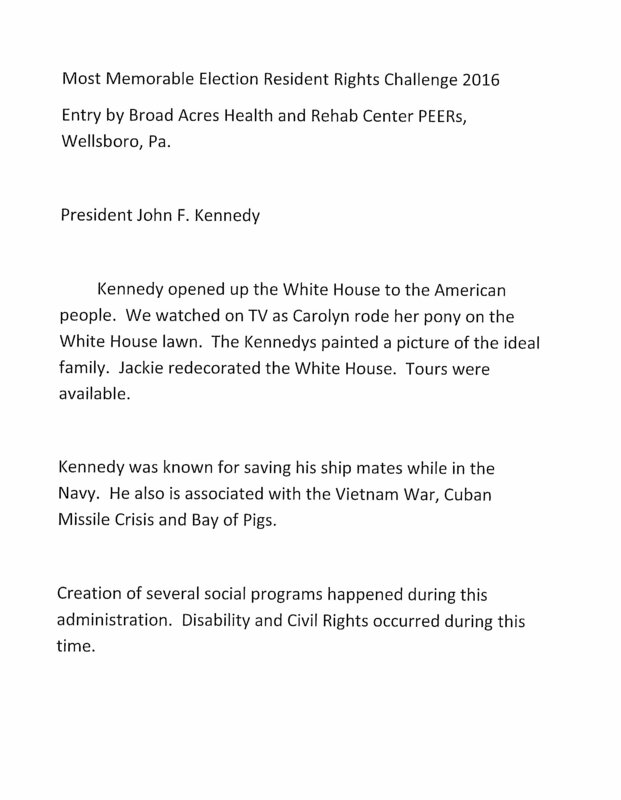 Kennedy humanized the Presidency. His wife Jackie was a fashion icon. She was the perfect lady. His family stuck together. They also experienced many tragedies. We could watch him live on TV and unfortunately saw his assassination. It is for all these reasons, that we felt our vote in the Kennedy election were historically significant. What Would You Tell the Current Presidential Candidates? What issues would you ask them to focus on? We can’t contribute to your campaign because we can’t live on the money we receive now. Our monthly Personal Needs Allowance needs to be raised. In today’s economy our children have a tough start to get their children raised and educated. Since we don’t have enough money to purchase our supplemental needs, our children have to help us. It doesn’t seem fair for them to have to raise their parents and their children at the same time. Some residents don’t have families to help them.With our monthly PNA we need to buy toiletries such shampoo, hair conditioner, toothpaste, nail polish remover, and shaving cream. We need to buy newspapers and cable tv to stay engaged with current events. We need to buy clothing, underwear, and socks that get continually lost in the laundry. We need to pay for transportation to visit family and friends. Public transportation costs were increased 33%, but not our PNA. We need to pay for snacks such as a candy bar or ice cream. We need to pay for haircuts and styling. A $20 haircut and $28 monthly newspaper cost equals $48 a month out of a $50 PNA. We can’t keep up with inflation. Costs keep going up but not our PNA! We rely on aides for 90-100% of our care, but they are given so many residents to take care of they can’t possibly give adequate care to any of these residents. 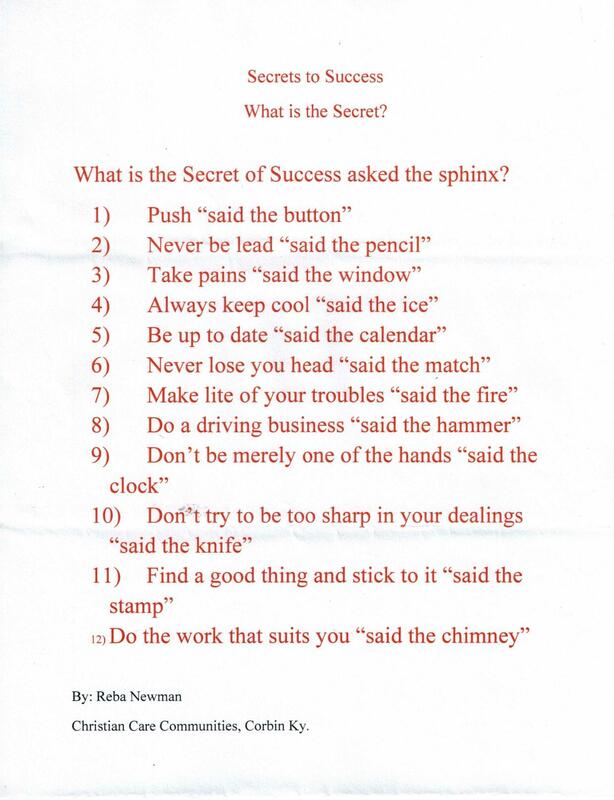 There is a long list of tasks that we are told aides will do for us, but tasks don’t get done. Safe staffing is a direct requirement toward our health. This is an important issue that affects all long term care consumers and needs your immediate attention. My husband and I voted for the first time in the president election in November 1960. After a tumultuous campaign, John F. Kennedy won defeating Richard Nixon. We were ecstatic for the result of our vote! Jack and Jackie were a charismatic couple, young, good looking, dynamic and modern in every way and from Massachusetts like us with the same Boston accent! My husband had just completed his graduate education at Boston University and was ready to enter the world of work. Suddenly, as our new president was about to take over, working for our government emerged as an exciting option not to be missed. We took it. Two weeks before Christmas 1960, we packed all of our belongings in our 1951 Chevrolet and drove south to the new job with the Army Corps of Engineers just outside of Washington DC. Within two years he moved on to a position in personnel administration with the National Institutes of Health, NIH, one truly remarkable government agency where he would work for the rest of his career. Three years later, November 1963, disaster struck! JFK was assassinated in Dallas, and I was six months pregnant with our first child. 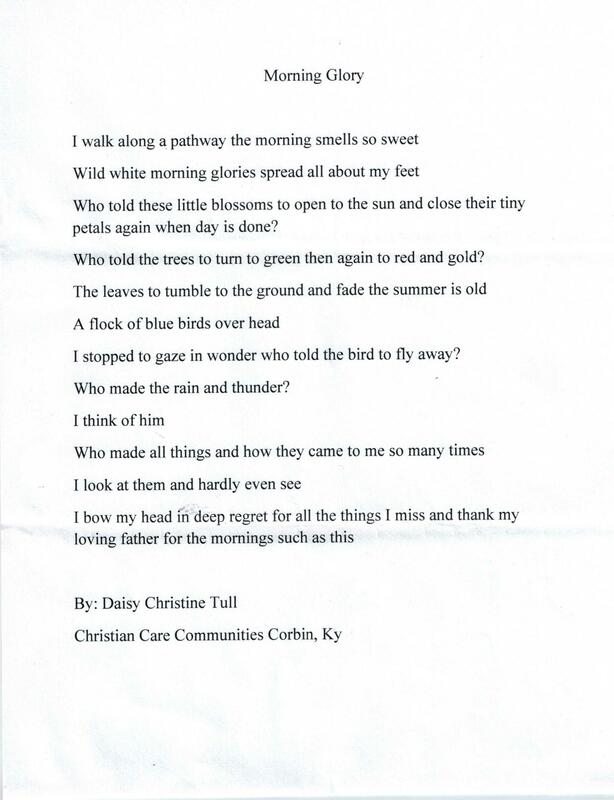 My concern for the wellbeing of my child to be, and the impact on our country was devastating. The vice president took over and we survived. We were blest with two daughters. As they grew up I was happy to join my husband working at NIH. 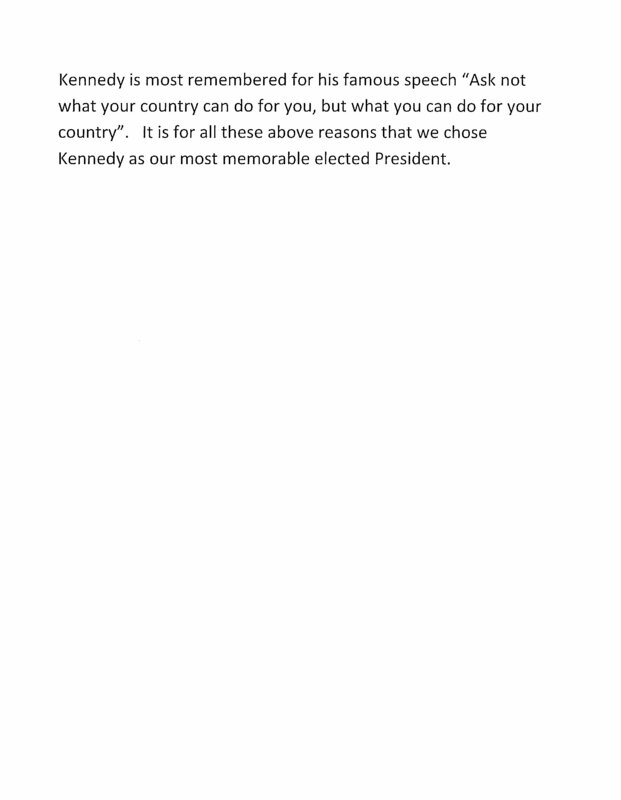 Our vote for President Kennedy and our decisions after his election vote were major impacts on our life. We continued to vote as the years rolled by, not just for president but for all elective offices that were on the ballot. As Americans we need to understand the views of all candidates seeking elective office and vote for the man or woman whom we believe will best serve our country, our state and our city. 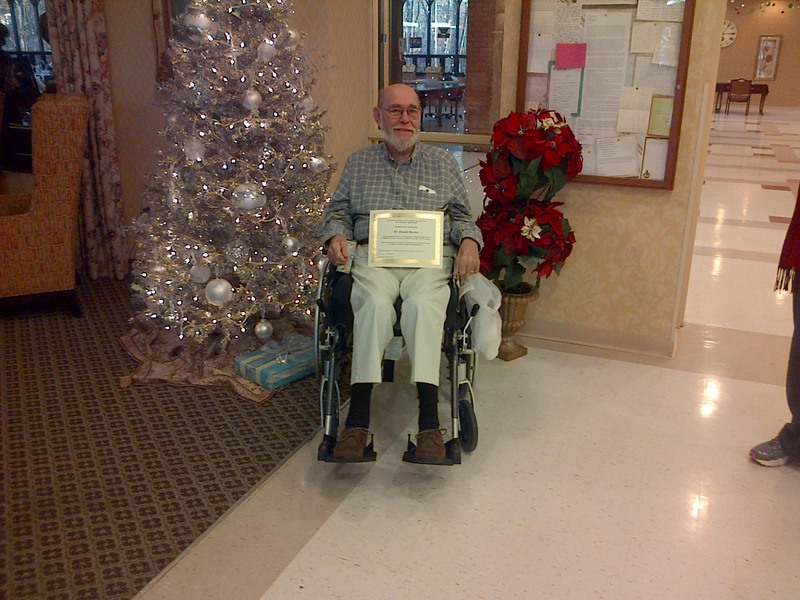 I am now a resident in a nursing home, but we will never forget the day we voted for JFK. Voting means you have the opportunity to thoroughly become informed about the candidates. 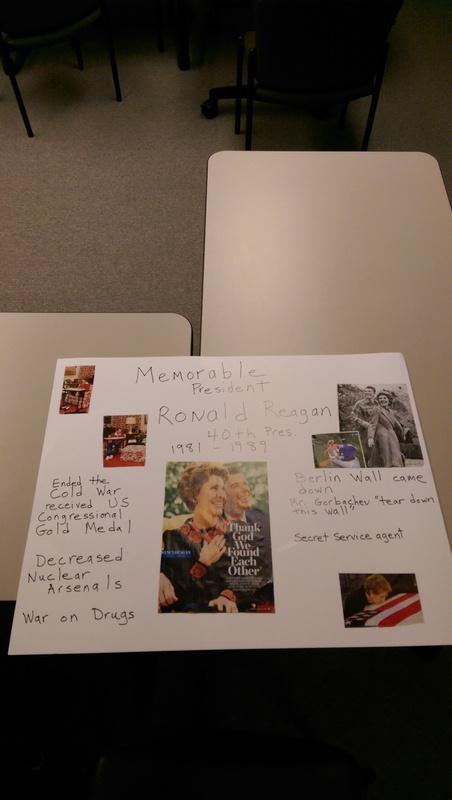 You need to study their presentations and read about the candidates and their idea. WORLD REPORT. Your vote is counted and the number of voters determines who is elected. You participate and appreciate this right. “It is better to case just one little vote than no vote at all.” If everyone would case just one vote what a great democracy we would create. When I was a young girl in a Catholic school in the early 1950’s, the Christopher movement was promoted to all. Lightning one little candle has always been my philosophy for life. I lit my first little candle while a student at Ohio University. Voting machines were brought into the student center to teach students how to operate this new fangled way of voting. I lit my first candle for George Voinovich, for president of our student body. Later I had the opportunity to vote for him for governor of Ohio. I’d like to think that my vote somehow influenced him to have a long career in politics as mayor of Cleveland, governor of the state of Ohio and a senator from Ohio. 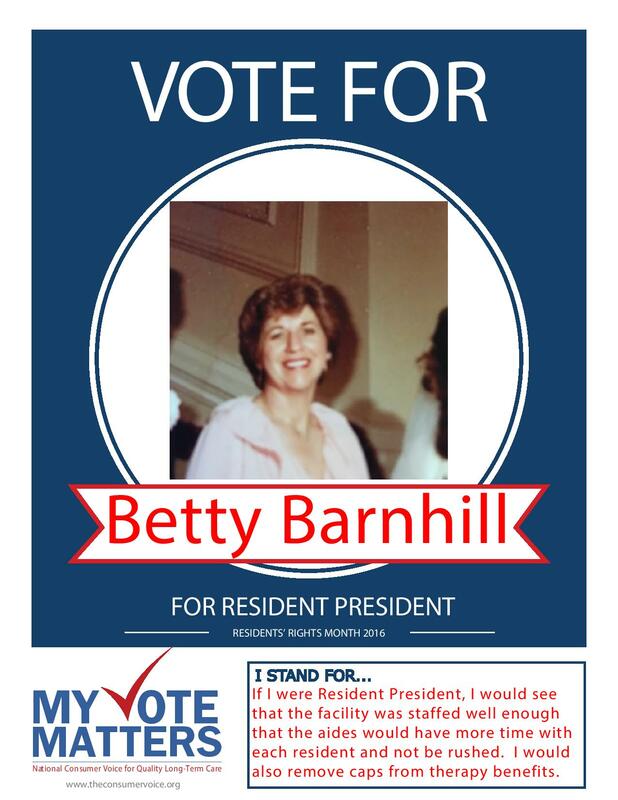 In my mind the most important election I voted in was the presidential election of 1960. Finding ourselves living in a small town in Indiana, we found that a polish last name and being part of a Catholic congregation was not accepted. Therefore, we traveled back to Ohio and registered to vote as democrats and cast our very first absentee ballot at the age of 21 for John F. Kennedy. Once again my little candle burned brightly as John F. Kennedy was considered a superior president. Since those first two important elections I have never missed lighting my candle at election time, both local and national. It is so important that everyone votes, even at the local level because so many issues are determined by a slim majority. 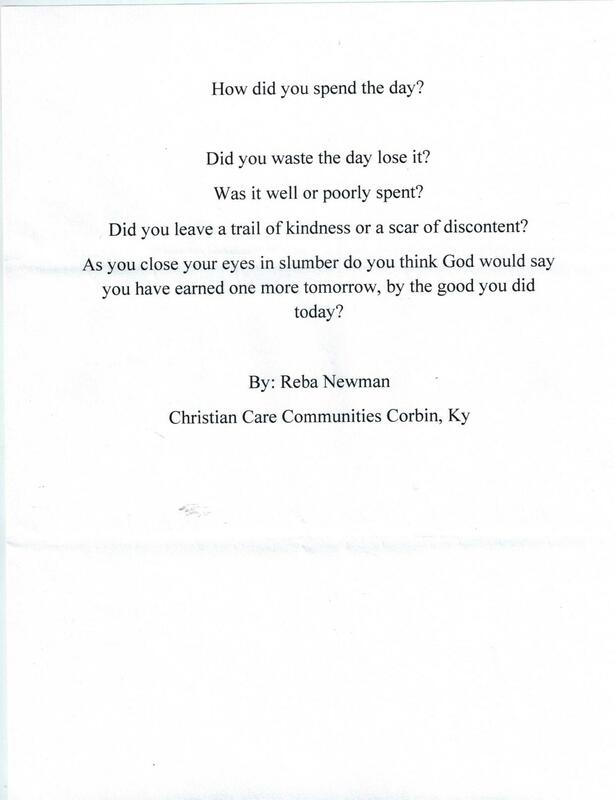 Ten years ago I became totally blind, having to depend on other people to light my candle for me. 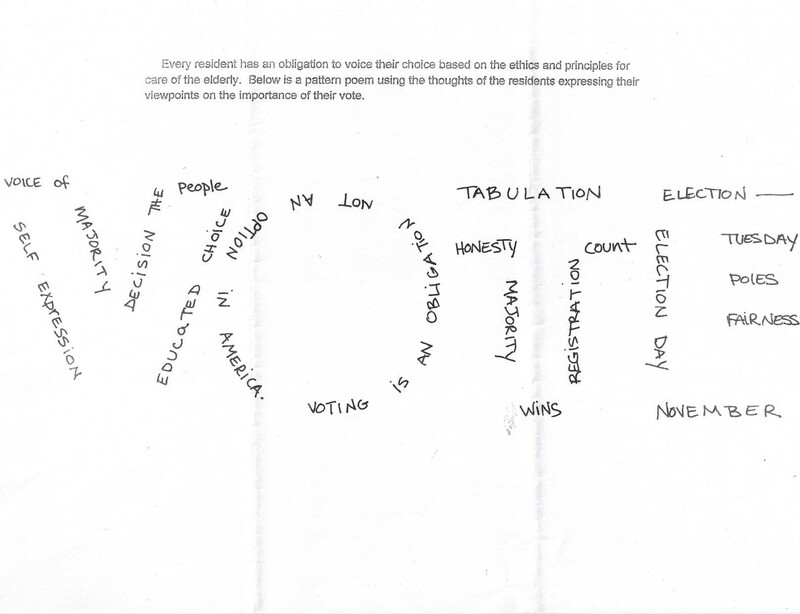 This past primary I never received the supposedly mailed absentee ballot. I do not understand why I suddenly became disenfranchised. I now need to light a much larger candle to make sure that those of us who are visually impaired have the right to vote. 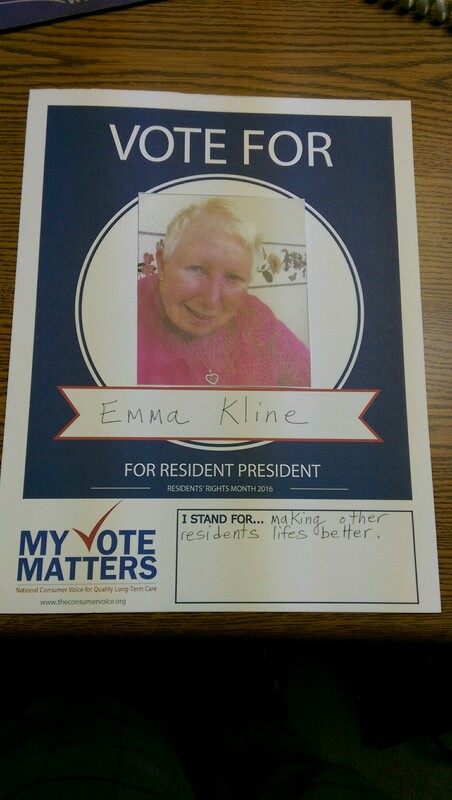 I challenge you, the consumer voice for long term care, to find the match to light my candle so those of us who are blind and in nursing homes can make our vote count. Imagine you got a meeting with one of the current presidential candidates: Which candidate would you speak to and why? What type of questions would you ask them? When can you send some of the troops home? What are you planning to do to lower gas prices? Can anything be done to lower the cost of living? Do you plan on raising minimum wage? What types of issues would you ask them to focus on? What would you tell them on behalf of all long-term consumers? Please consider increasing the mental health budget. The first time I voted for president was for Dwight A. Eisenhower when he ran for president in 1954. We need another “Ike” today. He was a born leader and we do not have any of them today. They are all politician today. They do not have any experience when they run for office today. I do not like Donald Trump. He has no class and comes across as crude. There is enough crudeness in speakers today and we do not need one as President. I like Bernie Sanders but his age is against him. I guess Hillary is best of the pool group. I did not like Bill Clinton as he was a womanizer and I do not know if he can be trusted. Who would we be voting for? Bill or Hillary? 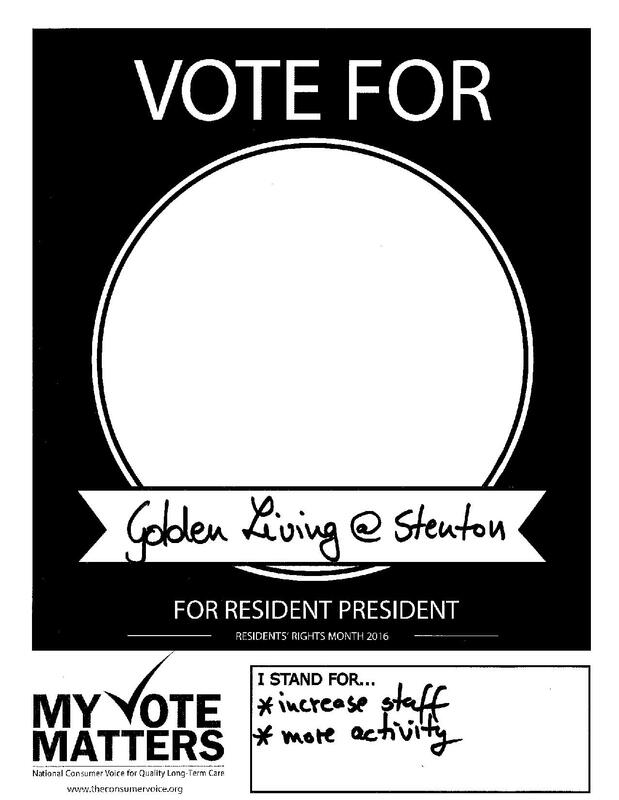 The first presidential election in which I voted was 1964, between Barry Goldwater and Lyndon Johnson. I voted for Goldwater because I was a Republican just because my parents were. As time has gone by, I have become a much more informed voter, studying the candidates and their position as I realize how much impact the president has on the direction of the country. “The bully pulpit” can rally a nation to deal with its problems. One of our significant problems is healthcare. However, healthcare is an issue that has received little or no attention from either of our presidential candidates. From prenatal care to senior care availability, drugs, insurance and cost to families, all are important issues that should be addressed. 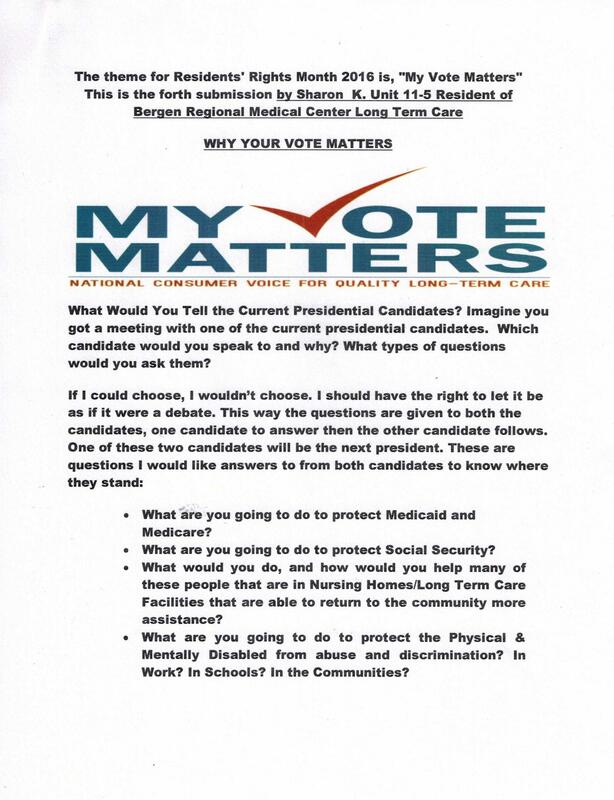 If I were given the opportunity to speak to candidates, long term care is an aspect of healthcare I would particularly want them to address. The tsunami of baby boomer approaching senior citizen status is adding significantly to the graying of America. Some people attempt to portrait older American pitted against the young. The reality is that families must deal with the long term care health needs of parents, siblings, and grandparents. No real program exists to assist them. Long term care health insurance is increasingly both out of reach for the middle class and offers far few benefits than in the past. Few individuals or families have resources to support the cost of long term care in the community or in long term facilities. Bankruptcies of individual in the United States are most often the result of medical expenses including long term care. And the quality of care varies widely. Efforts must include the quality of long term care available to all Americans. The kind of creative thinking which created Social Security, Medicare and WIC and Headstart must be applied to the problem of the cost and availability of quality long term care. Every president has a list of priorities for the administration first 100 days; work on this issue belongs near the top of this list. Provide more services to patients in long term care. Help the poor, homeless and disabled. 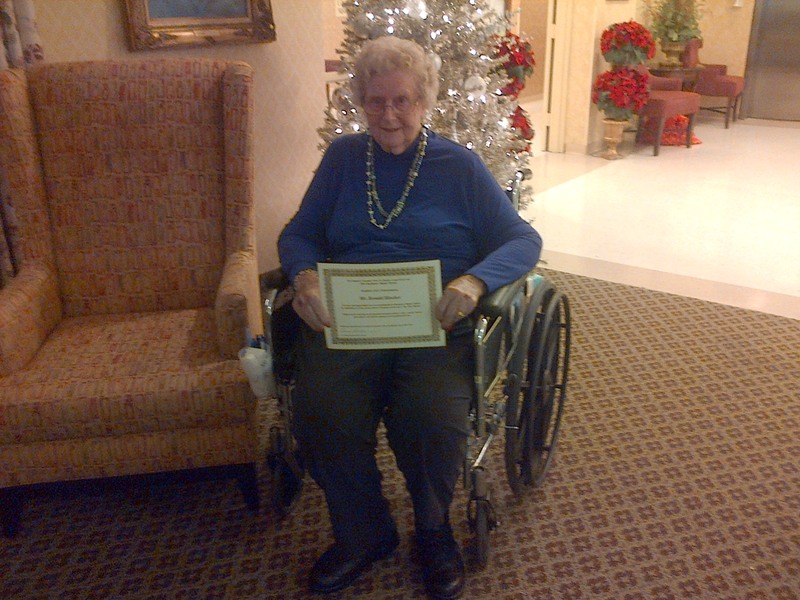 Help residents in long term care return to their communities. 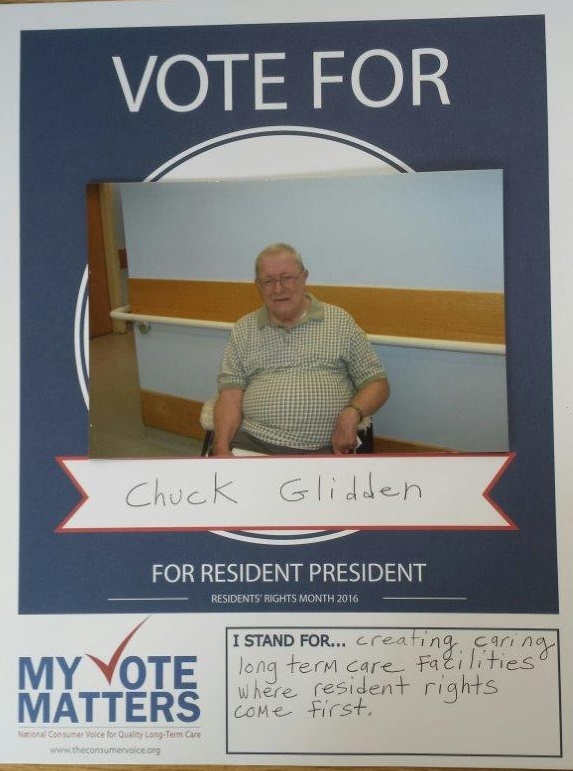 Towanda Memorial Guthrie Skilled Nursing Unit PEERs in Towanda, Pa.
My name is Dan Ferguson and I’ve been a Democrat since I started to vote a long time ago. Hillary Clinton would become a very good leader. She has very good points to raise the minimum wage to fifteen dollars per hour to help the middle class and the poor. She was Secretary of State and show knew how to deal on foreign affairs and run the country as good as any man. The only thing that Donald Trump is trying to do is build a wall by the Mexican border, throw Muslims out of the country, and also lower the taxes on the rich. He is a smooth operator. He claims he never lies but Hillary Clinton does. He calls her crooked Hillary and I wouldn’t trust that man. He is dangerous and will lead us into war with another country. Also he is very stubborn it is either his way or no way. He puts up a false front with the black people in church. He really doesn’t care about them. I will close for now. I just gave you my opinion on things. If I had a chance to speak to the current presidential candidates, I would like to ask them to take action to stem the tide of refugees coming from war-torn areas, like Syria and Iraq. I also would ask them to keep jobs in America rather than outsourcing jobs. As an incentive to keep those jobs in America, I would suggest that they raise tax rates on companies that outsource. 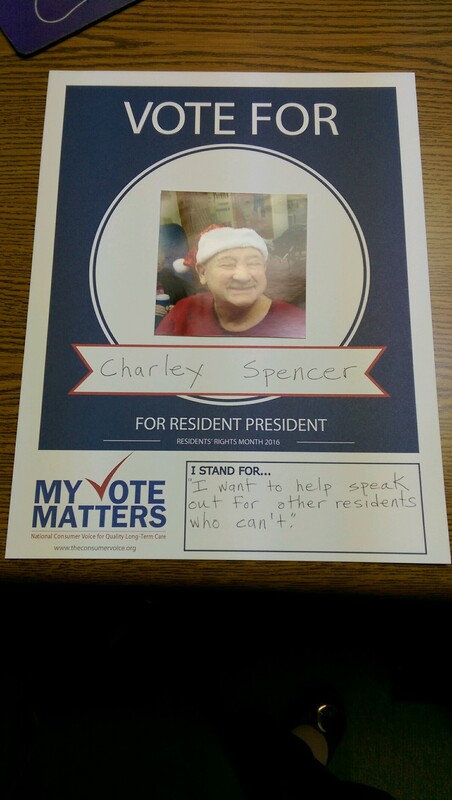 On behalf of long-term care residents, I appreciate the chance to make my voice heard. If I had the pleasure of meeting one of the current presidential candidates, I would like to meet with Donald Trump. My first question to Mr. Trump would be: If you are elected President of the United States, what would be the first thing you would do, and why? I am concerned about the economy, so I would ask him to focus on creating more jobs to boost the economy. 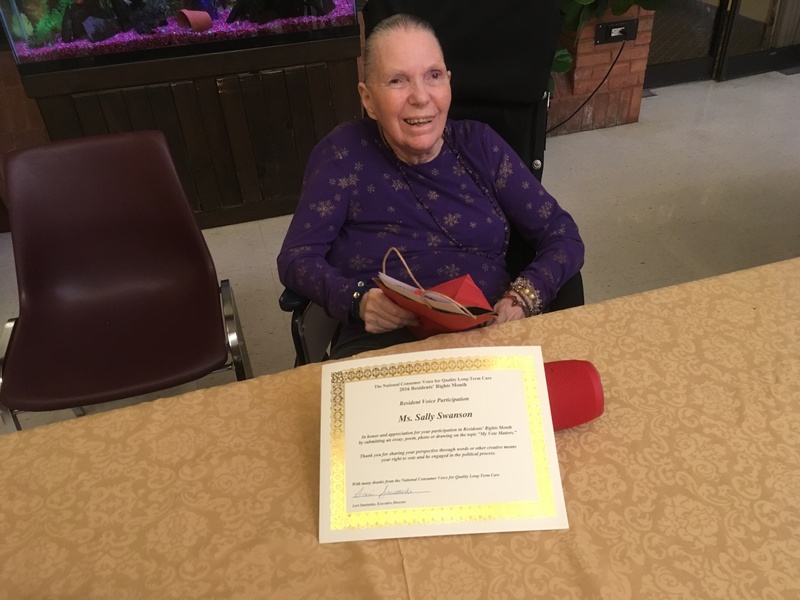 Concerning nursing home residents, I would ask Mr. Trump what he would address about nursing homes in general, and what kind of changes he would make on behalf of long-term care residents and why. I would tell Mr. Trump that as a long-term care resident, I am interested in any changes he would make to long-term care. If I had a chance to speak with one of the current presidential candidates, I would like to speak to Hillary Clinton. I believe that Mrs. Clinton has more experience than her opponent, Donald Trump. Also, I feel that her husband, former President Bill Clinton, could give her advice on some of the important issues facing the President today. I would like to ask Mrs. Clinton why social security recipients have not received a raise in benefits for the last several years. Additionally, I would like to know if social security recipients will receive a raise this year. 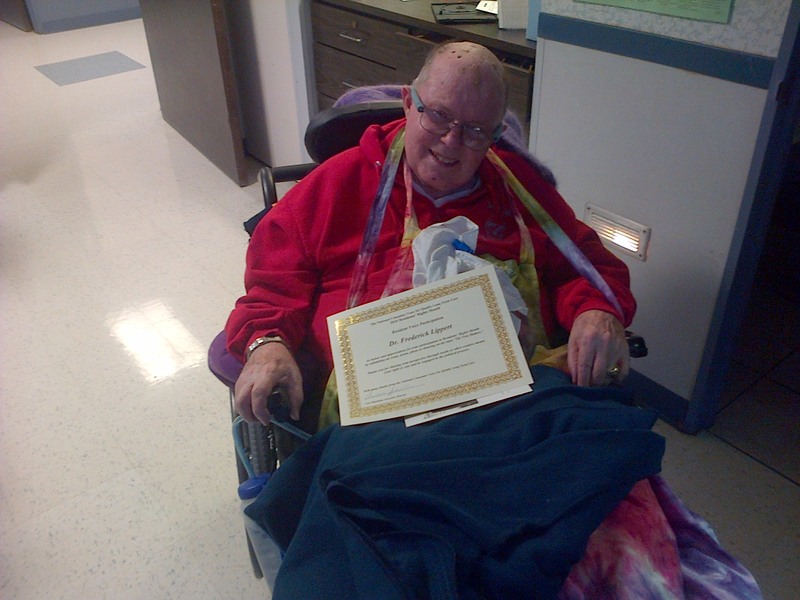 An issue that is directly related to long-term care residents, is the monthly spending allowance. I would like to see an increase in the allowance in the future. I would like to see reform in the way welfare and food stamp recipients are receiving benefits. I consider it an honor to speak on behalf of long-term care residents. I did vote in the election that elected Obama to the Office of Presidency!! It was the first time I remembered having to vote, since my accident I had in 2002 that left me with partial memory (channeled amnesia though trauma). It made me feel important to participate in something that could change the way the country is run! 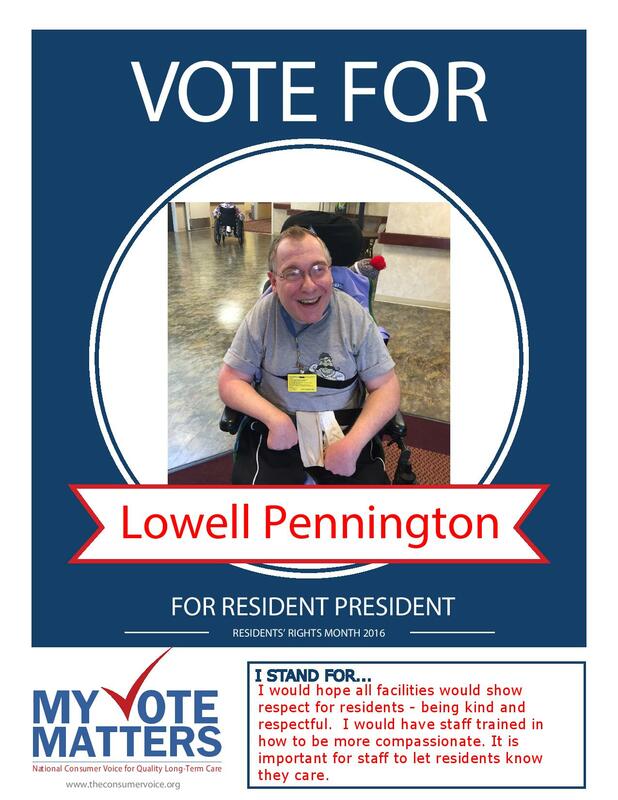 When I first came to this facility (Delaware Valley Veteran's Home), that I reside at, they told me that I could vote when the elections would arise. But at the time, I was not worried. I don't remember voting in the twenty (20) years or so of my memory loss, but I do know that I was/ I am a democrat. My first known election was in 2009. I was skeptical at first and thought (like a handful of some people do) maybe my vote won't count? But then if I do vote and something happens for the good, then that would make me feel as if I had accomplished a task that I have not before and feel proud that I did!!! To answer this question truthfully, I would have to get in a time machine, and go back to see if the other elections where as bad as this (Clinton and Trump) make it seem. This is my option only, because with the "mud-slinging" that they throw at each other, makes me think about a playground sandbox with a boy, a girl and a only one shovel (think about it)!!!! I've gotten to the point where as when I go to vote it's "E-nee, me-nee, mi-nee mo" if you get my drift. I think that in my eyes, all of my questions have been answered! !